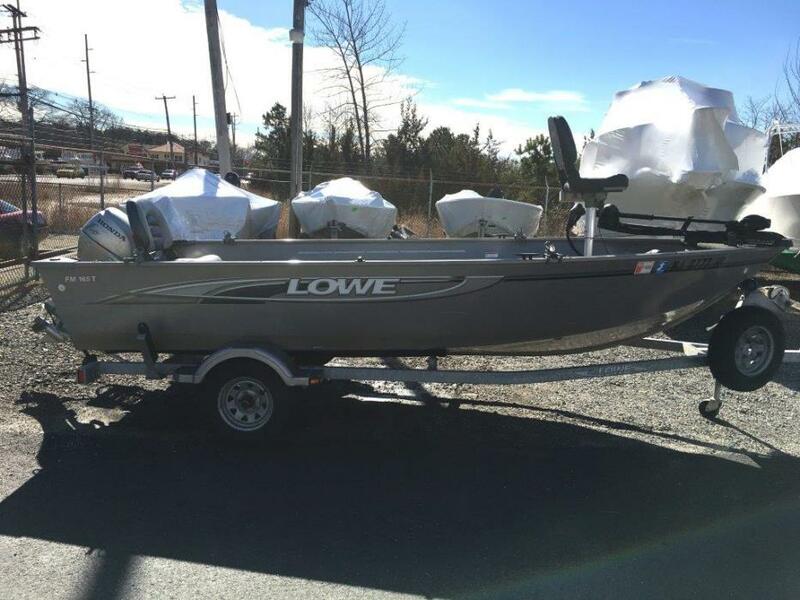 2011 Lowe FM165T ***JUST REDUCED FROM $7500 TO $6500*** A great fishing boat that is priced to sell and ready to roll...Included in the sale are the following:- 2011 Lowe FM 165T boat - Karavan trailer with breakaway tongue - 2001 Honda 9.9 outboard gas motor - 2007 Minn Kota 101 lb. thrust electric trolling motor - Bow mounted Lowrance X135 Finder in bracket, with US2 adapter cable from Minn Kotafootpedal to US2 transducer in Minn Kota head - provides depth, temp and sonar - Rear mounted Eagle Seafinder 250DF with transom mount transducer (stern) - provides depth and sonar - Custom fabricated locking, hinged, weatherproof covers over all four side compartments - Custom fabricated piano-hinged rear fishing platform with easy access to batteries, gas tank and bilge - Custom fabricated motor toter piece with bungee - supports Honda, connects to trailer - After market custom installed keel guard - Rear mounted platform ladder - Springfield power pedestal for front seat - Wise seat caddy on front seat - Automatic bilge pump - Four Down East S-10 "Original Salty" Double Clamp heavy duty rod holders - New trailer tires (not spare) - New Bearing Buddies - New winch strap - New tongue jack - New waterproof LED trailer lights - New trailer light connector - Two spare seats - Original Honda 3 gallon gas tank - Mint condition boat cover - Mint condition Bimini top Please note - the boat has no charger and no batteries. The boat is physically located at Fullers Marine in Toms River. If you would like to go see the boat, you are more than welcome to do so, please just contact me first so that I can make arrangements with Fullers.The price is $6500 complete, or $5500 without the Honda motor. Serious inquiries only. Thank you. 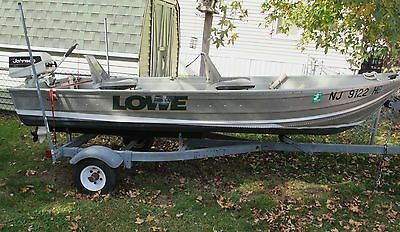 2012 Lowe 175 Stinger This is a 2012 Lowe 175 Stinger Bass Boat. Fresh water use only with all welded aluminum construction. There is no wood used in the construction of these boats. Engine is a 2012 60hp Mercury 4 stroke EFI that runs flawless. Comes with 65lb Minn Kota Maxxum 24v Trolling Motor (Installed in 2015). Boat is equipped with 2 Hummingbird Helix Chartplotter/ Fishfinders. Models are as follows, Helix 5SI GPS w sonar, down imaging, and side imaging. A Helix 7DI w sonar and down imaging. Boat has duel livewells with automatic livewell timer. Three on-board battery chargers with 1 year old Exide Batteries. (2 Deep cycle and 1 Cranking). This boat is rigged and ready for tournament or recreational fishing. 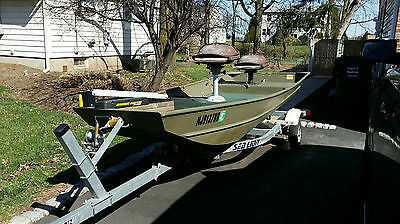 Come see this boat today at our Deptford, NJ location. Financing is available to qualified buyers. Both boat and trailer in great condition. 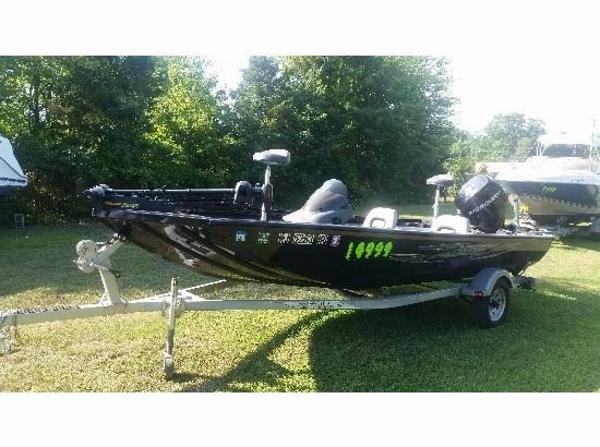 Comes with 2 minn kota electric motors, 2 batteries, 2009 Sea Lion Trailer with lock, life jackets, 2 swivel seats, raised deck, trolling motor setup with foot pedal steering. Very nice boat ready to fish for next season! 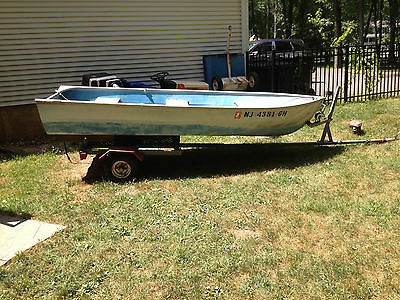 Gents, this is a used 1970 (or so) aluminum fishing boat with a trailer and motor! It all works as it should the motor has a new clutch dog and forward gear and runs like a tank. The boat has some wear on it, but with this motor is a rocket on the water. The trailer is a home made, gets the job done locally but would not take it on a long trip without a through go over. The whole rig needs to be registered. I got it from an estate sale and they could not find the paper work. Have fun, it's ready for the water. If you are local and want a demo, let me know.